To a car enthusiast, a trip to Tokyo, Japan would not be complete without paying a visit to Toyota’s Mega Web located in Odaiba. 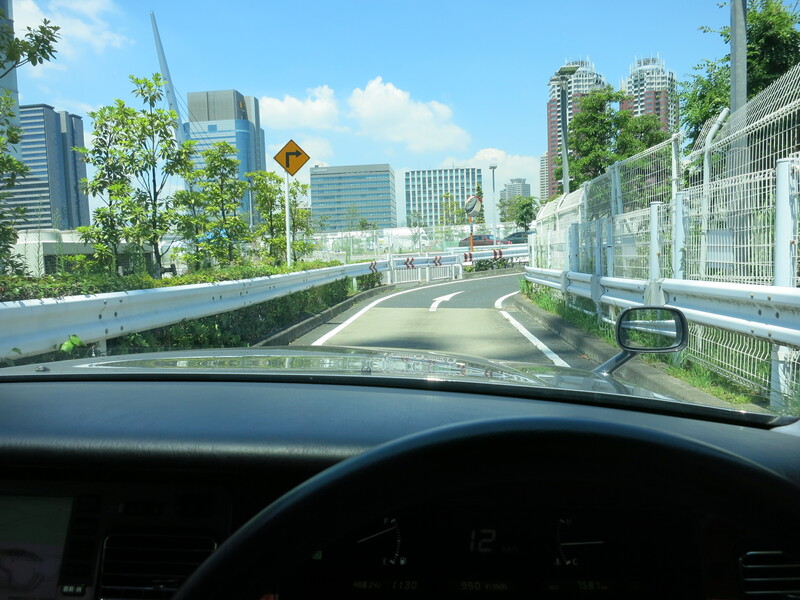 Mega Web can be described as the theme park for a car lover where any Japanese Domestic Model from the Toyota lineup can be test driven on a purpose built test track for 300 yen. 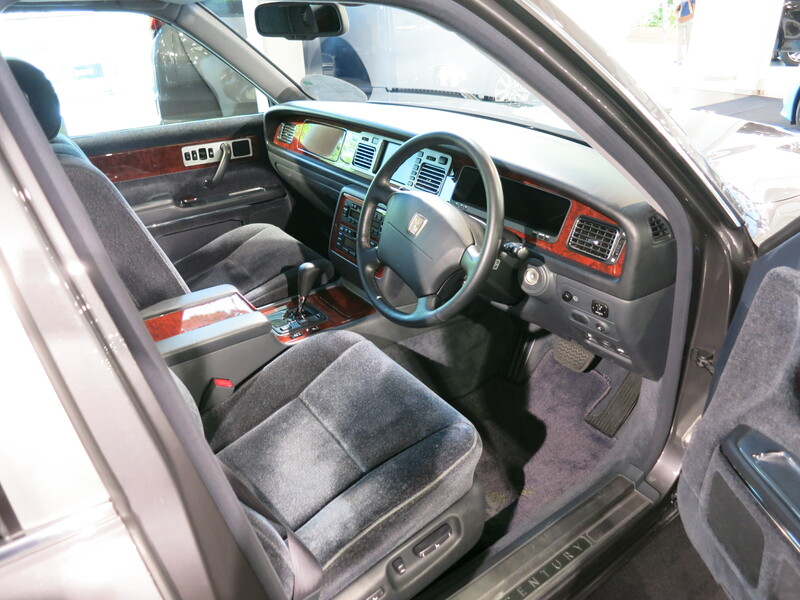 The main attraction for me was the Toyota Century – a Japanese leviathan that is powered by a 5.0 litre V12 made solely for this model. The Century is a status symbol of success for the conservative Japanese businessman who viewed the offerings from Mercedes, BMW and Jaguar to be too ‘loud’ and attention-seeking. First launched in 1967 as a competitor to the Mitsubishi Debonair and Nissan President, the first generation Century was produced from 1967 to 1997 with a V8 engine that dated back to the ‘60s. The second generation retained the classic looks, the hand built heritage and incorporated a new V12 engine within. 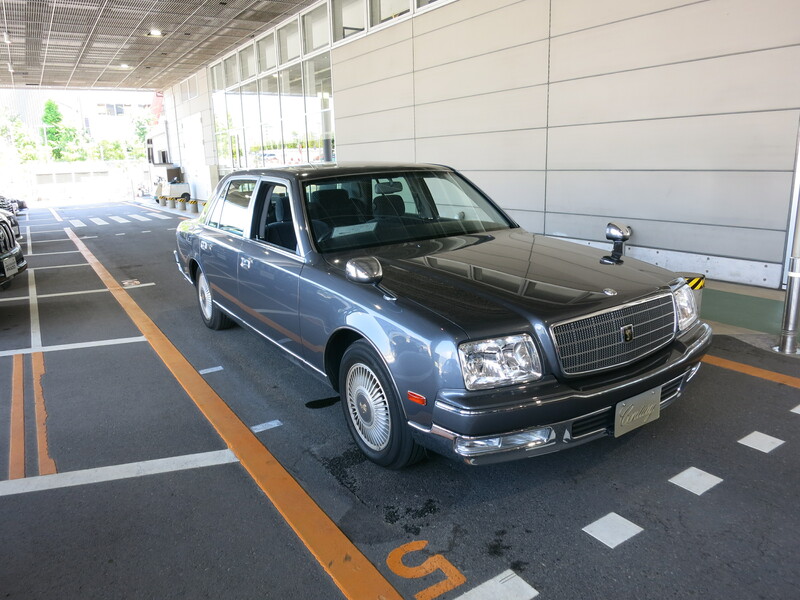 On first sight, one might mistake the Century for a Toyota Crown taxi before actually realising how huge this limousine is at almost 5.3m. In fact, the Century has an old-world charm about it with two front fender mounted side mirrors and a typical slab-sided ‘squarish’ design. The attention to detail can be seen from the intricate chrome detailing around the wheel fenders, side blinkers as well as the emblems fitted all around. There are also no Toyota logos on the car and instead, a ‘C E N T U R Y’ nameplate is fitted on the rear trunk. While walking towards the Century parked at the waiting area, the engine sound was barely audible at idle. All that could be heard was the low pitched fan that reminds one of an old Mercedes. The doors of the Century also close with a solid thump that is not usually associated with Japanese vehicles. Once you settle into the driver seat, you realise how quiet the car is on the inside. Upon closer inspection, the air-con vents actually swivel to distribute cold air to each passenger. Something that bothered me would be the digital speed readout on the dashboard which was slightly out of place on a timeless car like this. You would also realise that most buttons, stalks and switches can be found in a Corolla or Camry. What makes a Century special though, is the quality of the vehicle, which began to show itself on the test drive. On the road, the car wafts along. Pedal travel is long to ensure steady acceleration for a comfortable ride. The test track at Mega Web encompasses 2 straight roads, a slalom course, a cobbled street as well as a tight curved road mimicking a tight city street. 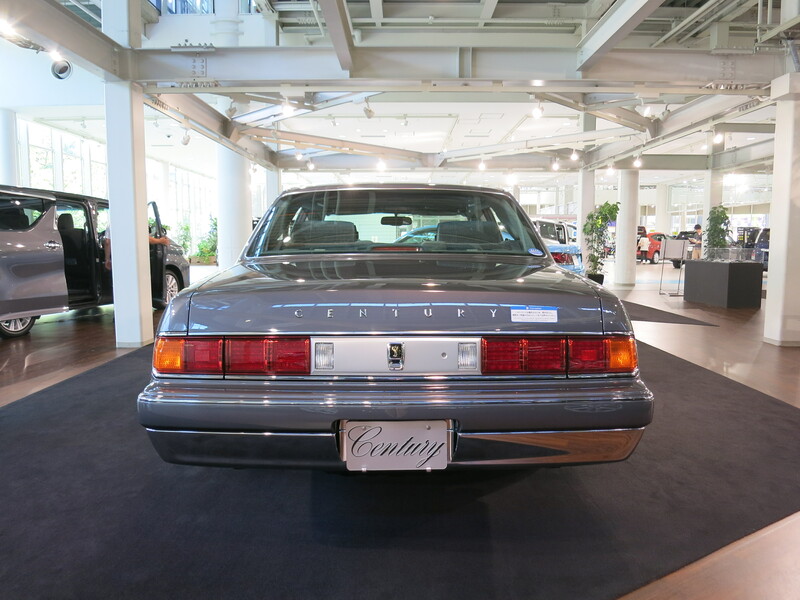 The Century picks up speed quickly upon full acceleration which is reminiscent of a Mercedes W126 or W140. 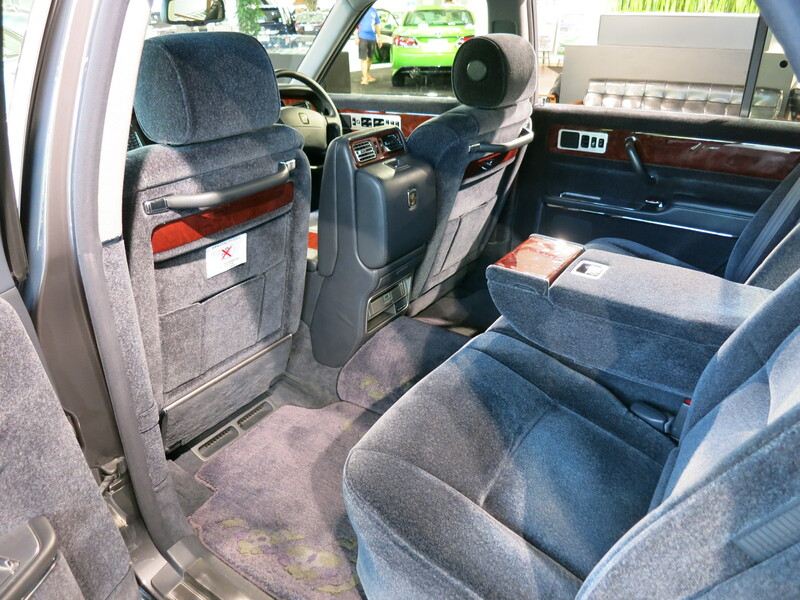 The comfort set-up is obvious when the car pitches and dives on hard acceleration and braking. Needless to say, the car also rolled a fair bit around the short slalom course. Appreciation for the comfort leanings of the car really swelled when the car practically steam-rolled cobbled streets and speed bumps, with the air suspension maintaining a comfortable ride for passengers. All one can hear is the sound of the air-con when the car is cruising along. It’s worth noting that visibility is excellent; even around tight corners, the Century was easy to manoeuvre with the driver being able to see all 4 corners of the car with ease. Driving (or even owning) a Century is an experience on its own. The car is very ‘Japanese’ from the way it is over-engineered. It was as though a Japanese engineer sat down one day and decided that a typical Mercedes or BMW was too pretentious for a Japanese businessman. Leather was replaced with wool seats to minimise squeaking seats, door latches were replaced with electric motors to reduce the ‘clunkiness’ of pulling a door handle and curtains were used instead of having tinted windows. All these Japanese engineering might not be appreciated in international markets but it is definitely clear that the Century has a special place in the upper echelons of the Japanese society with the Century being seen all over Ginza in the evenings with a chauffeur driving the car. Let’s hope Toyota keeps this luxo-barge in production for that special niche market that it targets.